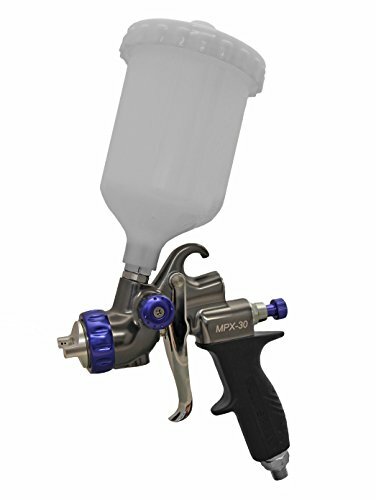 The mpx-30 is a general purpose spray gun, perfect for any type of professional spray finishing. The Fan pattern controller offers precise Fan adjustment reducing overspray and waste. Included in the package is a gravity feed mpx-30 spray gun installed with a 1.4mm nozzle size, 600Cc gravity cup assembly, high pressure regulator gauge, all-purpose wrench, cleaning brush and user manual.